Island County encompasses several islands off the coast of Washington, just north of Seattle. The main islands are Camano and Whidbey, located in the Strait of Juan de Fuca, Port Susan, and Skagit Bay in the northern Puget Sound. The population of Island County is about 78,500; the largest city is Oak Harbor and the county seat is Coupeville. Island County is a popular tourist destination with many activities specific to this area of the Pacific Northwest: whale watching, bird and wildlife watching, kayaking, Whidbey Island Scenic Isle Way and Deception Pass State Park, both incredibly scenic locations for road tripping, and local and military heritage museums. Whidbey Island is known for Naval Air Station Whidbey Island and the islands are home to many military families. 2 Beds | 1 Baths | 1408 sq. Ft.
3 Beds | 2.25 Baths | 2140 sq. Ft.
3 Beds | 1.75 Baths | 1956 sq. Ft.
4 Beds | 2.5 Baths | 2006 sq. Ft.
3 Beds | 2.75 Baths | 3340 sq. Ft.
3 Beds | 2 Baths | 2140 sq. Ft.
Blue Summit Realty has the most accurate and up to date Island County real estate listings on the web. Currently there are 319 homes for sale, 20 condos for sale, 7 rental properties, and 353 vacant land properties in Island County. Of the 700 total Island County residential listings for sale 8 are bank owned, 0 are short sales and 47 are new construction and 0 are townhomes. The price ranges from $114,950 to $4,756,000 with a median list price of $523,785 and median sold price of $362,668. 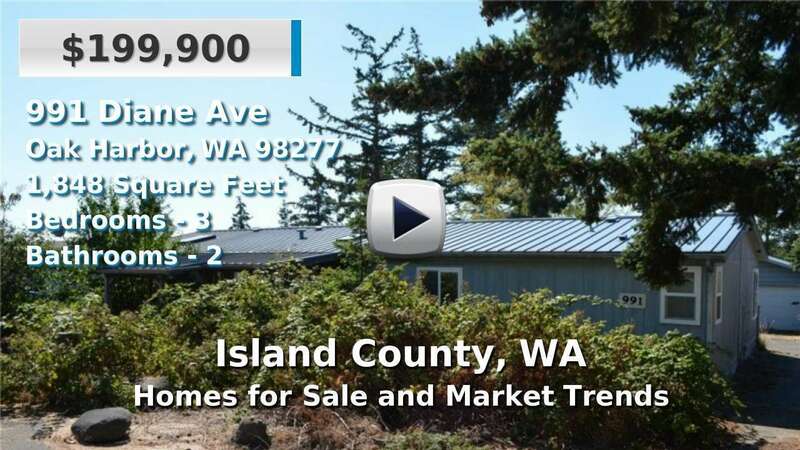 Make sure to refine your Island County real estate search by property type, price, square footage, bedrooms, bathrooms and more with the search tool above or view the Island County listings on our interactive map. Our Island County real estate listings were updated 11 minutes ago.